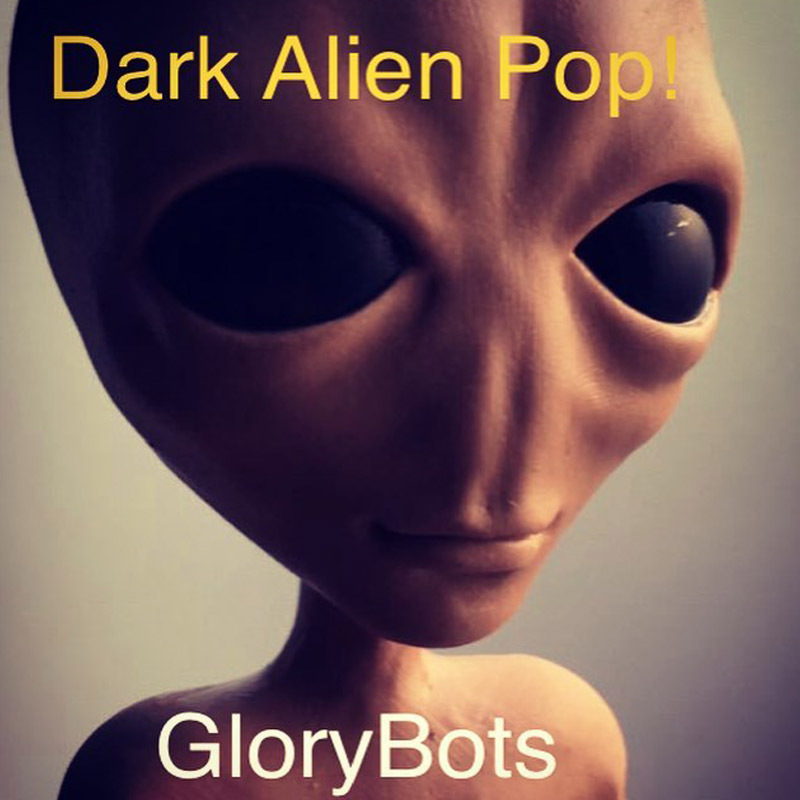 GloryBots – Dark Alien Pop – Album Review | The Ark of Music – The best music in the world…you never knew existed. From what we can tell, Seattle-based singer-songwriter and multi-instrumentalist, Jalal Andre—though a veteran in the indie-rock band scene having played with “five or more” bands over the years—has been searching for his own unique sound, his very own sonic signature, for some time now. All of that experience, all of that angst, all of those darts in the dark, would inevitably result in one final—if not desperate—exploration into himself. With that, his solo project, GloryBots, was born. With the intention of a full-on, unadulterated, lone exploration of sound, Andre decided to fully develop his new sound before revealing a single note of it to the world. The final product is GloryBots’ debut album, the epic 12-track full-length album, Dark Alien Pop, a collection drawing comparisons to The Cure, Radiohead, and NIN. Acquiring the talents of Los Angeles drummer, Ben Hilzinger, the album opens with, Entanglement, an etheric, dripping-with-synth cut with a floating melody that makes the listener oblivious to the angst contained within. Think: Depeche Mode. Grooving into Dream About Nothing’s intro, I’m immediately reminded of Wild Belle’s 2016 hit single, Giving Up On You. With little more than a baseline, a few layers of ambient electric guitar, and Jalal’s vocals which seem to be—seriously—made for this genre, this track is masterfully mixed, and smooth like a warm sonic breeze. Think that’s nonsense? Listen. Industrial, Electro, and Psych-Rock junkies will love this track by bar 10…no joke. Gold Politique sounds like The Raveonettes made a track with NIN. I even hear some vocal timbre that brings Oasis’s Liam Gallagher to mind. With a late 90’s/early 2000’s vibe, Soon offers a personal-apocalyptic theme which still feels like good news amidst what we can now safely call Jalal Andre’s trademark alien-synth-rock sound. Deluxe. Dream-state. Ambientastic. All perfect adjectives which attempt to describe Jalal Andre’s / GloryBots’ debut album, Dark Alien Pop, a liquid ride across a landscape similar to our own—though absolutely alien. 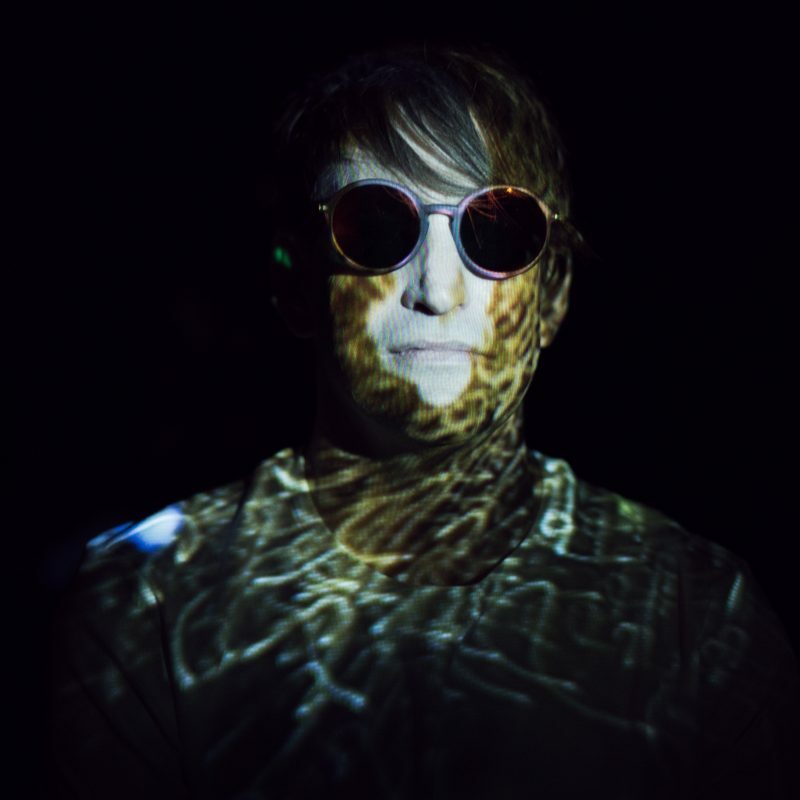 Locking himself away in isolation—for however long the project took—proved fruitful for Andre as he has created a body of work that honors synth/indie-rock’s past while simultaneously setting a new bar, particularly for production and mixing as there are no hard edges to be found here—only smooth, fluid composition after composition. Simply stated, the album sails. BELOW: Listen to music from GloryBots’ album, Dark Alien Pop, and connect with their website and social media platforms. Please support GloryBots by visiting them online, and playing, downloading, and/or purchasing their music, or attending a live show! And, as always, thank you for supporting real music!